Allium Millenium, a hardy ornamental onion, has been named the 2018 perennial plant of the year by the Perennial Plant Association. Cool weather brings out exciting transitional colour changes in the new Chick Charms collectible hens and chicks series. Try them all in patio pots or rock gardens. Will we see the Tooth Fairy next spring and will she be as ferocious as she looks? Mangave Tooth Fairy is an exciting new cross between the genus Manfreda and Agave. The 2018 hosta of the year is World Cup, a tall vase-shaped hosta with bright golden foliage. Planning to put purple into your patio pots as a tribute to Pantone’s colour of the year? One option is adding purple prince Alternanthera Brasiliana, a new annual variety that is a mix of burgundy-purple and red-violet. The Pantone Institute has named ultra violet as colour of the year for 2018. It isn’t only fashion designers who are influenced by colour trends. The choice of greenery, the 2017 colour of the year, conveyed an environmental message — one that resonated across a wider public, including gardeners. In its annual December announcement, Pantone said ultra violet, a bright purple with violet-blue undertones, communicates originality. And the colour means more than what is trending in the world of design. Indeed, the message is that this vibrant colour choice portends a transformative experience with the potential to even impact social direction. That’s a lot of responsibility to place on the shoulders of any colour. Consider the value, though, of colour in garden design. Colour plays an important supporting role. It provides contrast and harmony, sets the mood and tone, and influences the theme of your garden. Colour can also be used to manipulate space. Hot colours — red, orange, and bright yellow — advance toward you and make a space feel smaller, while cool colours — blue, green, or pale yellow — retreat, making a space appear larger. Purple is a secondary colour and is a mixture of both blue and red. 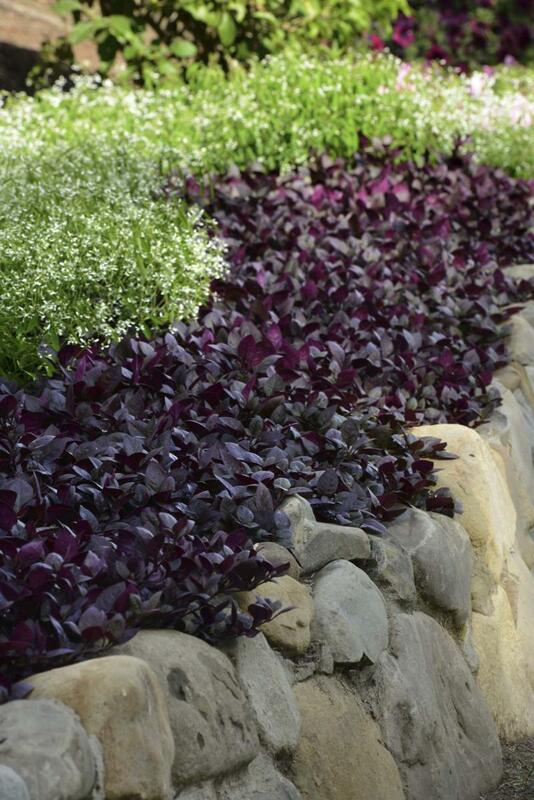 Next spring, push boundaries with a new release called purple prince Alternanthera Brasiliana — a mounded, spreading annual ground cover that is a rich burgundy-purple with flashes of red-violet on the undersides of its leaves. Drought-tolerant and low-maintenance, purple prince grows to a height of 25 to 41 centimetres and is the first compact seed Alternanthera. Grow this sun-loving annual as a spreading carpet or as a spiller in containers. The unique colour offers interesting possibilities of combinations, with pink and lavender or silver, grey, and white. Or, if you have the courage, pair it with yellow or orange. 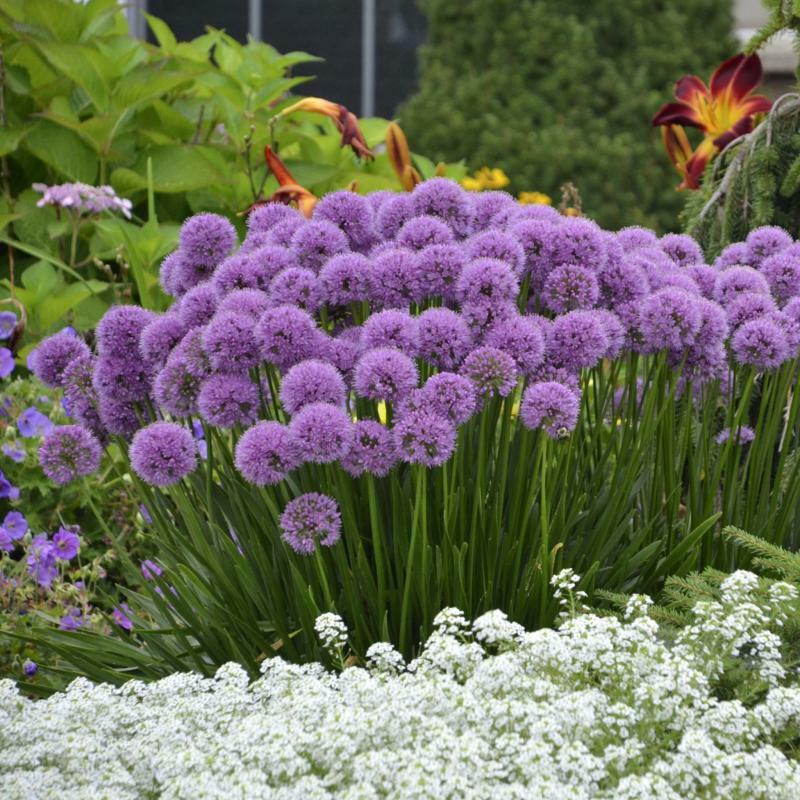 The new colour of the year also features in the Perennial Plant Associtaion’s 2018 choice for perennial plant of the year, Allium Millenium — although its purple hue is softer and has rosy tints. A sun-loving perennial ornamental onion with five-cm globes atop grass-like foliage, Allium Millenium blooms in July and August and boasts not only deer and rabbit resistance, but won’t have the annoying habit of reseeding everywhere. With the ability to adapt to our heavy clay soils, perhaps one of millenium’s most endearing features — apart from the fact that the bulb of this hardy allium does not have to be lifted in fall — is that it is a pollinator magnet. In today’s era of declining pollinator populations, that feature alone makes it worth our vote. Each year, the selection for hosta of the year is voted on by members of the American Hosta Growers Association (AHGA). The 2018 hosta of the year, chosen by Mark Zilis, is World Cup, a hybrid cross between Komodo dragon and Super Bowl hosta varieties. There are similarities to Abiqua drinking gourd, 2014 hosta of the year, found in the deeply cupped, corrugated leaves. But instead of blue-green, World Cup’s leaves are gold with slightly wavy margins. Both varieties offer good slug resistance, an increasingly important characteristic as more and more local gardeners report heavy feeding on hosta foliage by the red lily beetle. World Cup’s distinctive height (75 cm compared to the shorter Abiqua at only 40 cm), elegant vase-shape, and upright habit of its leaves are some of its best features. Robert M. Solberg, a hosta hybridizer and co-founder of the AHGA, owns Green Hill Farm, a hosta nursery in North Carolina. Solberg (whose nickname is Hosta Bob) has introduced about 70 hosta varieties, including marmalade and curly fries. He says that the gold colour of World Cup holds well throughout the season, even in the heat. 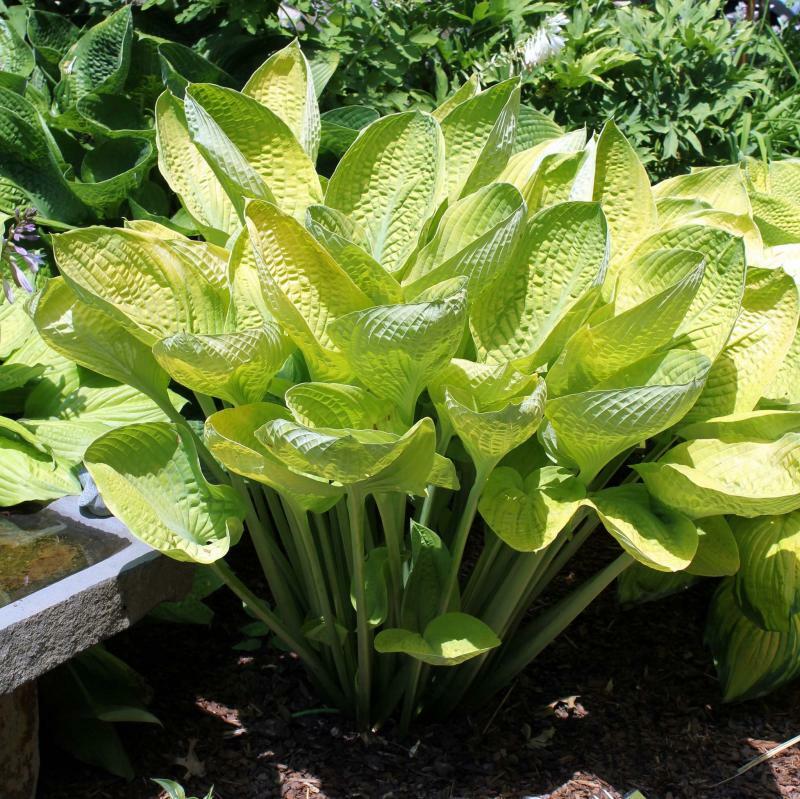 Solberg recommends placing hosta June in front of World Cup or some other hosta variety which has bright yellow foliage and blue-edged margins. Locally, though, the word is that World Cup is proving expensive to grow, in part because of the difficulty in sourcing it, as well as limited availability for now. With more of us living in smaller spaces and the rising popularity of patio or balcony gardening, the demand for low-maintenance plants that take up minimal space will continue to be an important trend in 2018. Succulents are the darlings of small-space, no-fuss gardening and are on pace to become more popular than ever with the colourful chick charms series of collectible hens and chicks. Savvy marketing has already garnered considerable attention for chick charms, which first launched in spring of 2016 with just a handful of colourful Sempervivum cultivars. Breeder Chris Hansen grows and evaluates more than 650 named varieties of Sempervivum, from which he selects only the best-performing and attractive varieties for inclusion in the chick charms collection which will number about 18 different varieties. Imaginative names like appletini, berry blues, berry bomb, bing cherry, cranberry cocktail, to name just a few, are all part of the charm. It is characteristics, though, such as stunning seasonal colour changes that make this super low-maintenance series such a wildly popular item. Chick charms gold nugget is billed as the world’s first gold-foliaged Sempervivum. In spring’s cool temperatures, this uniquely golden succulent with red leaf edges is said to transition to bright lime green in summer’s heat. But once fall arrives, the gold colour returns. As temperatures drop, the red tips glow even redder. Cooler climates such as ours should ensure beautiful colour displays. Chick charms appletini is an award of garden merit winner. It has pointed green leaves with maroon-coloured tips. The rosettes of chocolate kiss are a deep chocolate brown while the fleshy, silvery leaves of silver suede, a variety newly hatched in time for next spring, turn to pale pink. Approximately 5 cm tall and 10 cm wide, chick charms are adaptable to poor soils and are perfect choices for creating rock gardens or growing in containers. 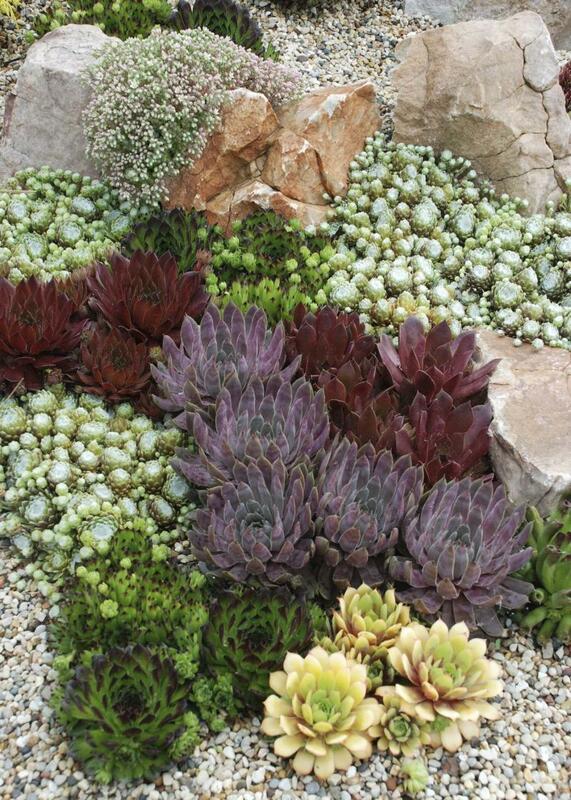 he amount of water required for this full-sun, drought-resistant collection is minimal — water thoroughly only once every seven to 10 days after they are established, and then let the soil dry out completely. Avoid overhead watering which can cause the central rosette to rot. Our Farm Greenhouses in Portage plans to carry this new collection. Caution: collecting chick charms may be addictive. Another exciting new succulent entry is mangave. 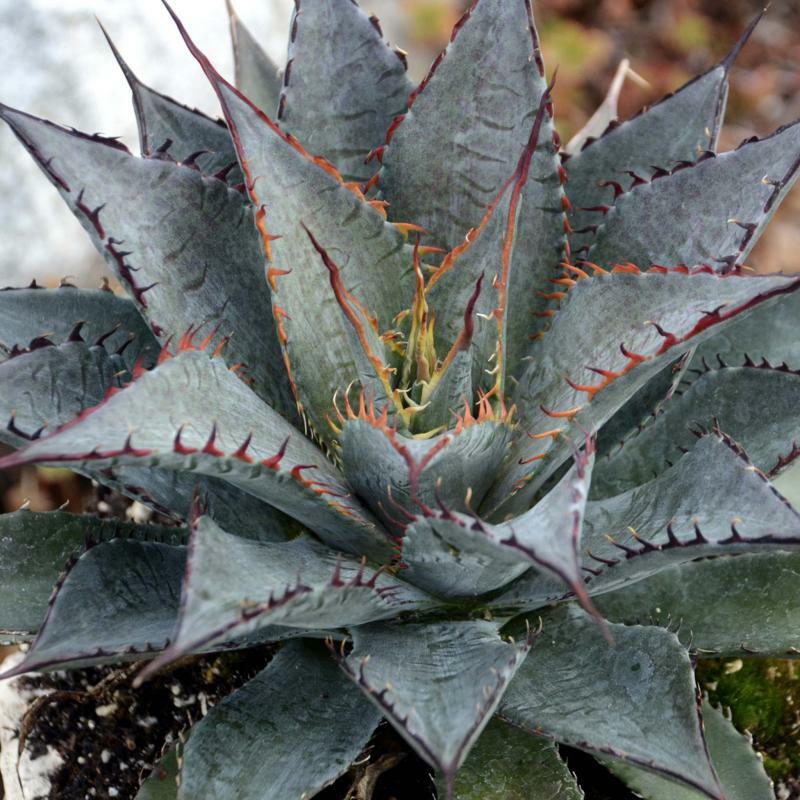 A cross between the genus manfreda and agave, an intriguing lineup of toothy hybrids has been bred to have ferocious appeal combined with a growth rate much quicker than the glacial pace of agave. The spiny grey-blue leaves — each one edged with a row of bright reddish-orange jagged teeth — seem almost to roar as they rise up from a central rosette that has a mature size of about 43 cm. Deer and rabbits are not likely to take a bite. Situate mangave in full sun and bring indoors for the winter. Unlike the other plant varieties highlighted in today’s column, mangave may not be at local garden centres in time for this spring. However, it’s definitely one to watch.